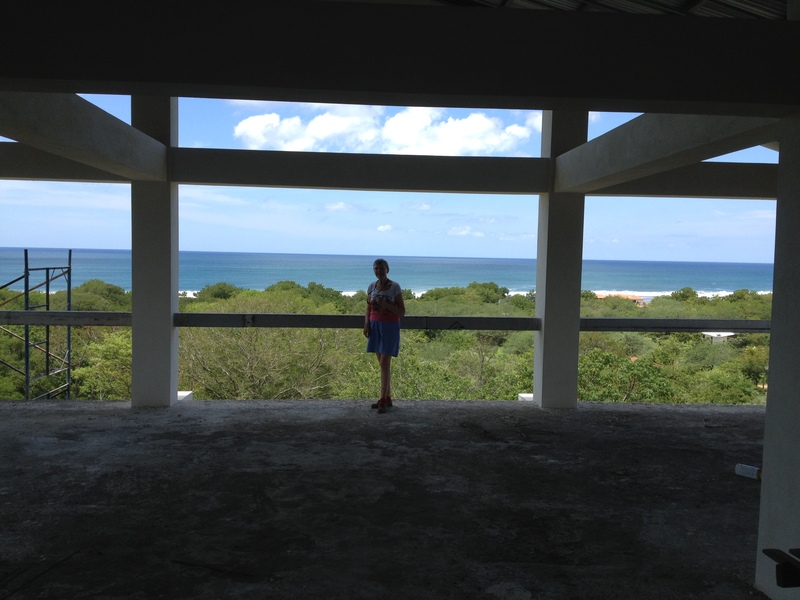 Enthusiasm for my new country, Nicaragua, prompts me to show it off. Of course, this presents me with the opportunity to travel about as well. In the last blog I talked about traveling to Estelí to meet Rodney, McDonald of Emergency Response Services Latin America (ERSLA). 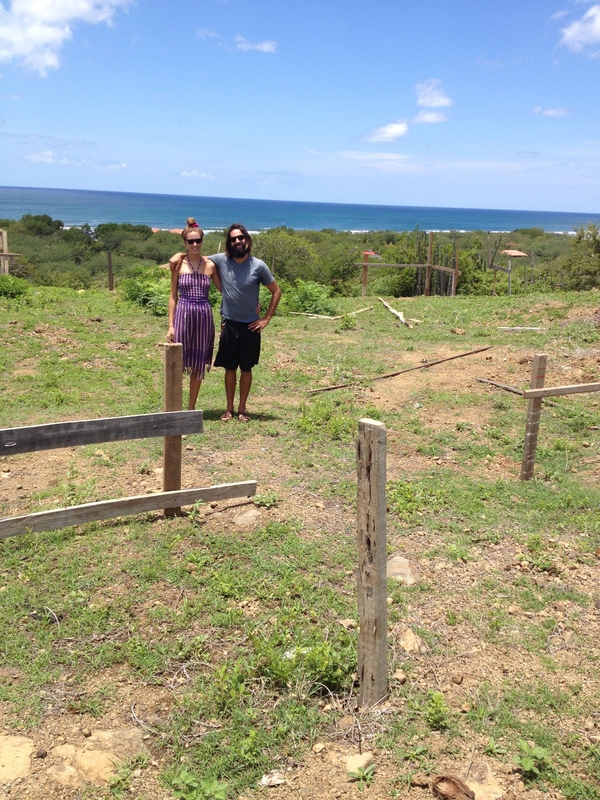 My new friend Jan Lowrey, MD and I had fun finding our way around Estelí enroute to ERSLA. 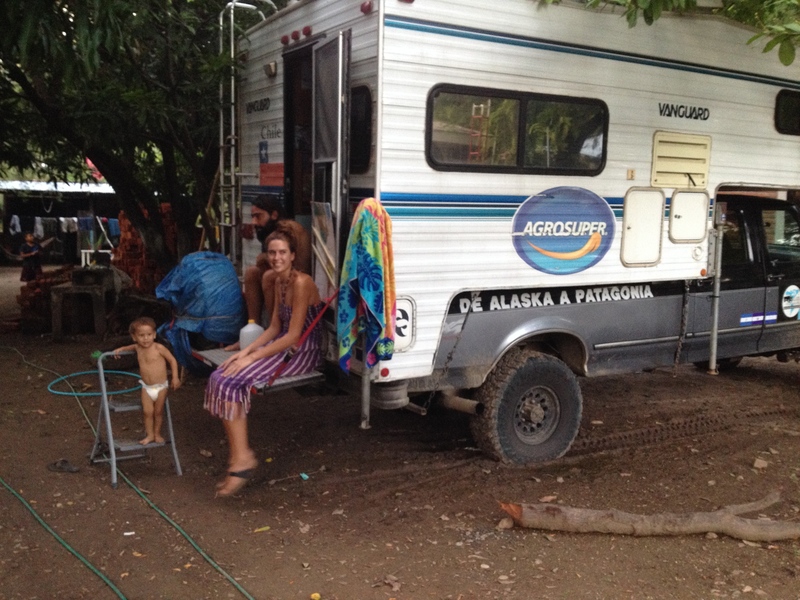 We then ventured on to Matagalpa and our two day stay at Selva Negra. Jan had never been north of Managua. We both enjoyed the Coffee Tour at Selva Negra, although this was my second experience. The tour guide is the most knowledgeable person about the flora and fauna in the Selva Negra property, as well as an excellent teacher of coffee. At the end of the coffee tour, there is a tasting similar to the official cupper tastings. Manuel, the tour guide, also described the cupper tasting process and used the equipment that the cuppers left for the tours at Selva Negra. Incidentally you can buy Selva Negra coffee at Whole Foods markets. It is also sold to Green Mountain but I’m not sure if it is relabeled. An interesting fact about Nicaraguan coffee is that most of the highest grade coffee is shipped out of Nicaragua which is a shame. There is a coffee house owner in Managua who is from Novato, CA, who is trying to establish a cooperative of the smaller coffee growers. He would like to keep high quality coffee beans in Nicaragua and the smaller growers would be more apt to participate in such a venture since they would still be able to reap monetary benefit comparitive to the large growers who get higher prices to ship their beans out of the country. I would honestly take the Selva Negra coffee tour again because I have learned so much the past two tours. After leaving Matagalpa, Jan and I drove to Managua. Since Jan was driving and had a rental car, I wasn’t concerned about not having a driver as we found our way to PriceSmart, the exact equivalent to CostCo in the US. I was the navigator with the two “tourist” maps that we had of Managua. For those of you who have relied on tourist maps of a strange city, you understand what I mean. All the advertised businesses are located on the map certainly not PriceSmart as that isn’t a hotel or restaurant. Nicaragua is famous for not having marked streets. Addresses are given by “cuadras” blocks from a landmark which could be a named rotunda, a tall building, or a corner where a landmark existed prior to the earthquake that leveled much of Managua in 1972. My inexperience with areas and sections of Managua is why I use a driver when I travel there. Jan drives in Mexico City where she and her husband have a medical office where he practises OB/GYN one week a month. She is therefore, undaunted by the Managua loco drivers and we ventured to two more stores that I wanted to show her where you can buy US products like wines, gourmet jelly, organic items. Our last stop was Caterina to shop for some special plants that we never found. We did, however, get lost in the bowels of Caterina and ended up on a downhill dirt deadend street where the people looked at us as if we were absolutely crazy. Of course, the people were correct. With me out of the car picking the best place for the 50 point turn around within a 5 foot radius, we headed back up the road where the people again stared at these two fruitcake gringas in the white SUV. Thank Isis the car was an AWD or we would probably still be trying to get out of that road. Thankfully we arrived back on the Pan Am Highway while it was still light so that we could take a back road cutoff to Rancho Santana. This part of the trip was also an adventure as there are three possible backroad routes. I chose the route that I hadn’t been on previously, of course. Jan is a great sport and we agreed that we both had great fun exploring on our trip. We ended our adventure by having dinner and wine on the porch of Jan’s beautiful vista home in Rancho Santana watching one of the gorgeous sunsets over the ocean. 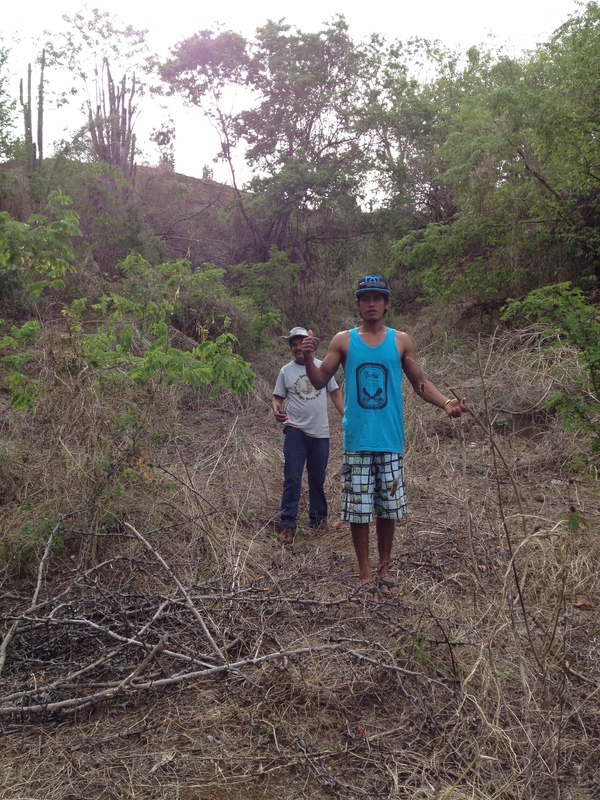 Another adventurous Saturday for me occurred when I took three men from Limón #2 to the Guasacate property to divine for water. William, one of the Guzmán family, organized the trio. Water has been very scarce this year as well as last year in our area. 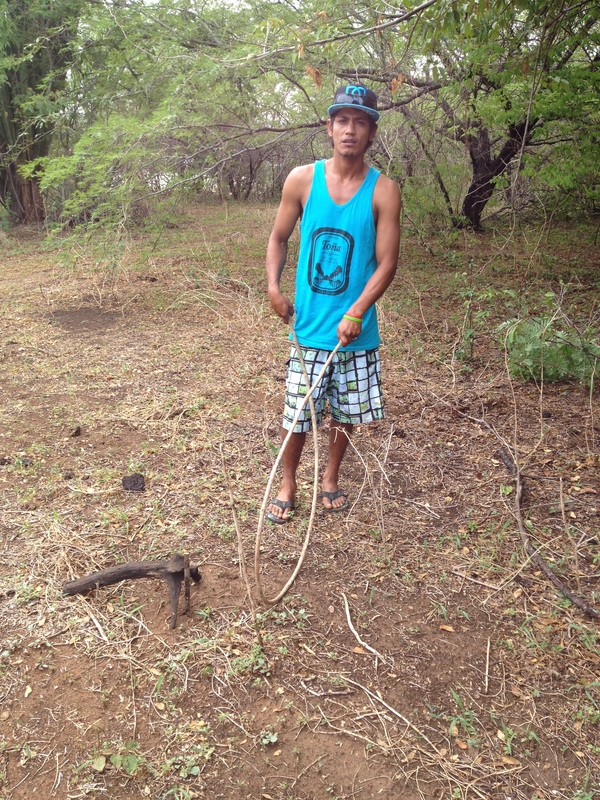 My friend and owner of the Guasacate development where I own a lot, Ron Urroz, had a well dug a month ago on the property. That produced a dry well. I knew that William and team knew how to find a spot for a well because they found water for a great well at the Guzmán compound that provides water for all 35 of us inhabitants. Gladimir, the star diviner or dowser–both terms are used–carried a large wand that looks like a pliable small tree branch. The wand is made from a vine and is called a papa miel. The four of us walked the entire development property and found four positive sites for good water. Ron’s Guasacate development has salt flats on three sides and the ocean on the fourth. Artesian water is what we were looking for on this adventure. It is fascinating to watch how the wand works. The dowser holds the wand over his head and walks. When there is a potential well area, the wand aims down at the ground. At this point the dowser begins walking in a small circle. The wand will flip itself into a loop and point to the spot where water should come forth when a well is dug. 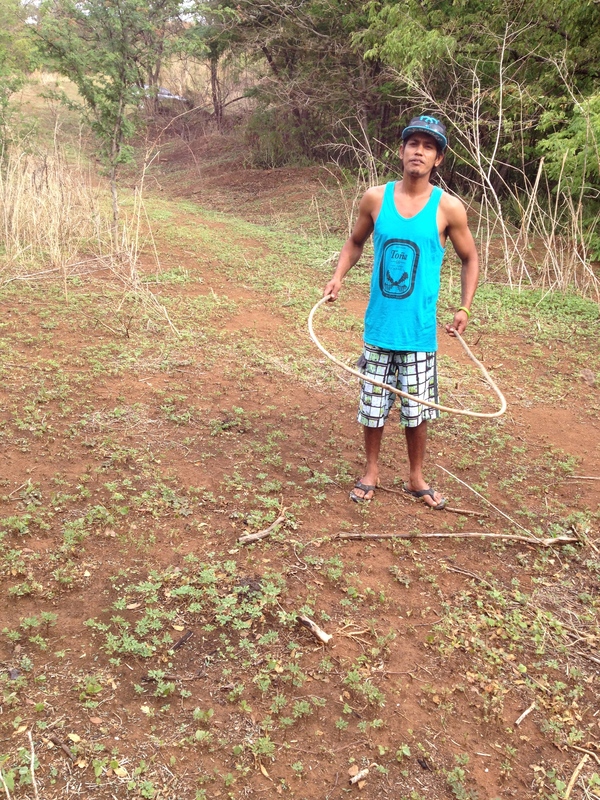 One of the spots was a mere 20 feet from the well that Ron had dug. Ron will try again at the new spot which is closest toRon and Ana’s home under construction, and mine in the future next to theirs William found a piece of slate near the chosen site that has a petroglyph of a brine shrimp. William gave me the rock and I am thrilled by the whole experience. Late August, I had two visitors from Santiago, Chile stay with me for a week. Cristian Riquelme and Claudia Quinzio are a young couple who have been traveling for 1 1/2 years from Alaska to Patagonia and will be back in Chile in three months. You can see their travel blog at www.dealaskaapatagonia. They were introduced to me via email from my friend, Marjory Clyne, in San Diego who met them while they were traveling through California to Mexico. These two bright shining stars do volunteer work as they find a need within the communities where they park their camper, Dora. Cristian is a surfer and carries his surfboard on top of Dora. Since they were parked with thier “casita” in my backyard for a week, you can imagine the curiosity of my extended Guzmán family where I live. Cristian and Claudia immediately endeared themselves to the little kids in my family. 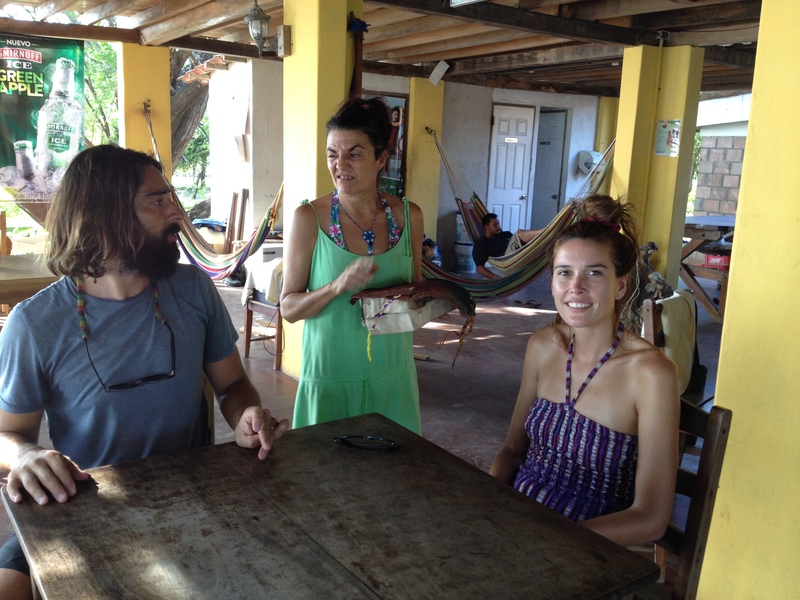 The first day of their stay with me, I took Claudia and Cristian sight seeing to the nearby villages and beaches. Cristian decided that their volunteer experience in my area would be to teach the little kids from my family how to surf. Little did they know that some of them had never seen the ocean even though we live about two kilometers from it. Cristian and Claudia are excellent teachers and very thorough about getting proper permission from the parents and laying out the rules for the trip to the beach. We decided that it would be a good idea to take my car versus move the truck with camper for the surfing lesson. The night before the event, Cristian gave lessons in my backyard on how to get up on a surfboard. They also let the kids use their hula hoops to everyone’s delight. 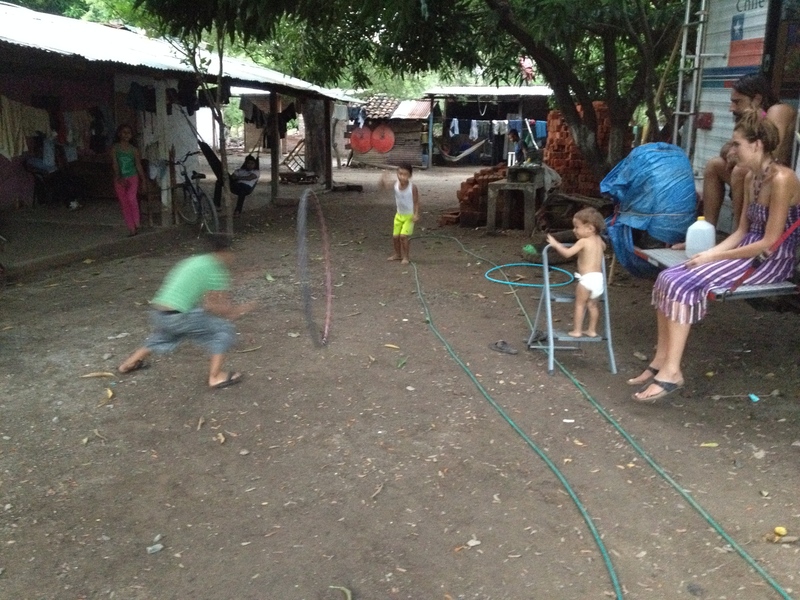 It was fun watching the little ones take turns with the hoops. They played a game of jumping through the hoop as someone rolled it across the yard. Cirque de Soliel potential performers. As you can tell, it doesn’t take much to entertain me. All in all the short time I had with Cristian and Claudia was so much fun. Their trip stories are amazing too. Not only is the their journey thrilling, they are accomplishing a lot in their short stay volunteer efforts. Cristian is a well-known Chilean TV novella actor and Claudia is an attorney in Santiago. They both quit their jobs to take this adventurous tour. On September 4th, I arrived back in Livermore, CA to be the 24/7 caregiver for my friend Adrienne Tarantino, my son Aaron’s mother-in-law. I am living at their home in the Tarantino Vineyard. Not sure how long I will be here as Adrienne is challenged with end stage lung cancer and will be on hospice next week. She currently has a home health nurse coming every three days to drain the pleural drain implanted in her left lower lung. She was confined to a skilled nursing facility until I got here because she couldn’t be home alone. Adrienne is doing very well now since we found out that we could stretch her oxygen tubing far enough so that she could come downstairs and eat at the dining table. Then we can move her oxygen concentrator equipment downstairs and she can go outside to sit by the pool which is a good break. 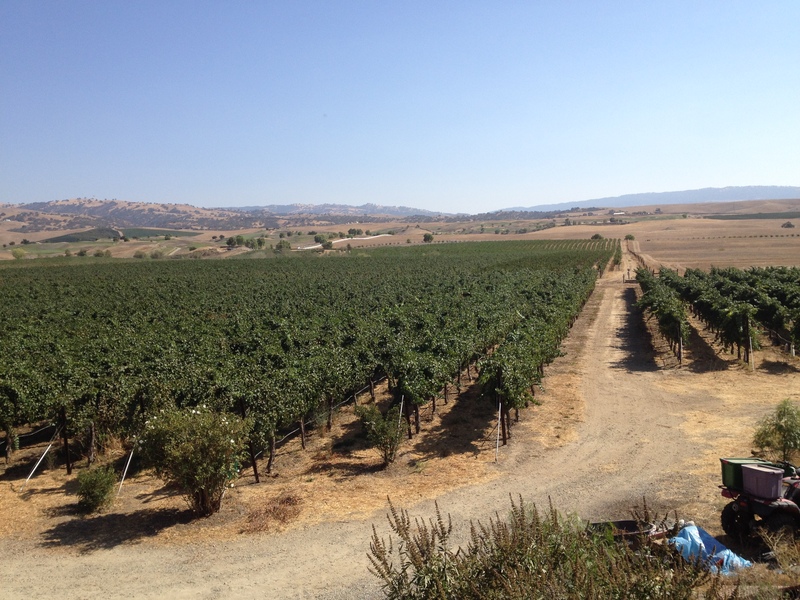 The reason that Adrienne is upstairs is because she has a large studio room up there that overlooks the back part of the vineyard and has a beautiful vista of the Livermore hills as well. My room is also upstairs in the newest part of this very large new addition to the studio. The construction was all about the Livermore zoning laws so the 3000 +/- sq. ft. part of the house is an addition to an existing space. The studio was built above the garage which is attached to the original 1920’s farmhouse where Aaron and Jennifer, Adrienne’s daughter and their family live. I call their part of the house the zoo and avoid entrance to the older part as it houses almost as many animals as there are in my Nicaragua backyard. So far Adrienne is tolerating my cooking and dispensing of meds without complaints, although I know it is hard for her. Adrienne is a retired elementary school teacher and an accomplished watercolor artist. Her attitude is great although depressing to think that your days are numbered. I am trying to keep ahead of the dirt, dog and cat hair that circle around me daily. It is actually easier to wear clothes that don’t collect the hair and I am doing laundry almost every other day anyway. Adrienne says that I am Miss Clean and she is Miss Piggy, a truth for sure. However, we like each other and are tolerating each other pretty well so far. Remember this is a vineyard and I am drinking my share of the wines from the delicious wineries that surround us that are a part of the dining experience here for me. Life is good, it is warm, I have hot running water, and supportive families in Nicaragua and here. 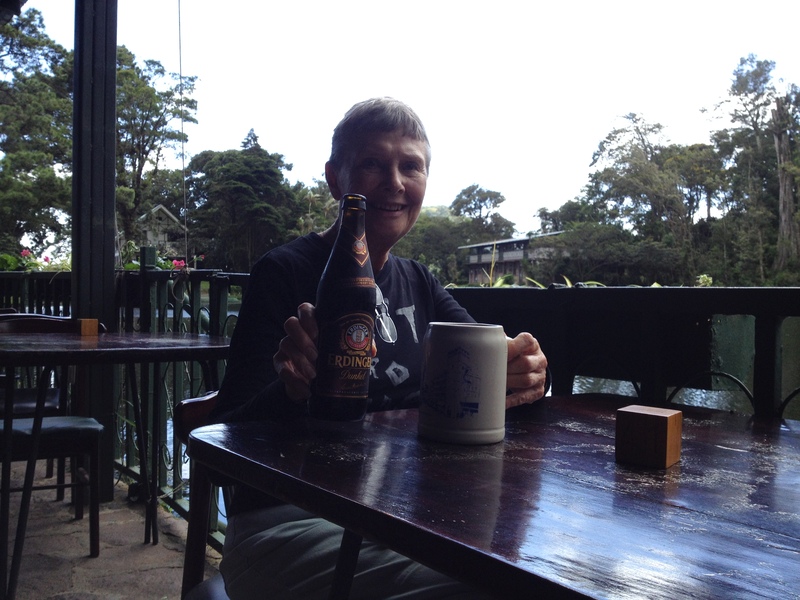 Me drinking Erdiner Dunkel beer at Selva Negra. Lizzie Dunkel is Greg’s wife. Not sure of a family connection though. Tree lizard in Selva Negra. Me in Ron and Ana’s house. Mine on the lot next door will be exactly the same. Notice my view of the ocean.